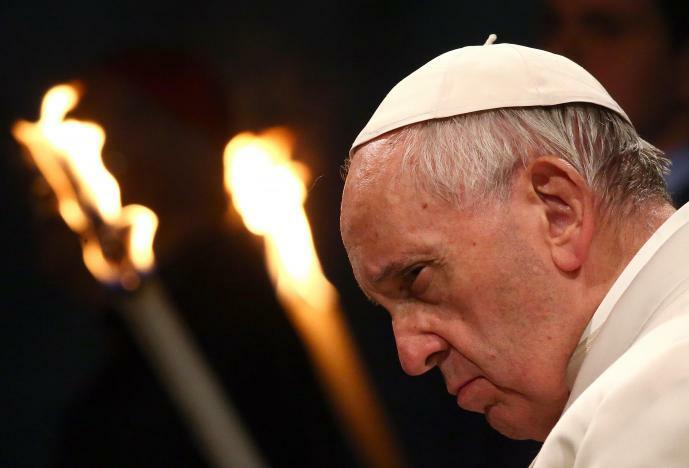 Pope Francis congratulated the Christians of Eastern bloc on Easter. It is reported by Vatican Radio. "I bring the most sincere congratulations to our brothers and sisters of the Eastern Churches who today celebrate the feast of the Passover according to the Julian calendar, let the Risen Lord fill them with light and peace and comfort communities living in especially difficult circumstances," the Pope said on Sunday, April 8. Note that Eastern Christians celebrate all religious holidays according to the Julian calendar, and Christians of the Western rite - according to the Gregorian calendar. On Sunday, April 8, Orthodox Christians celebrate Easter. The holiday is set in honor of the Resurrection of Jesus Christ - the center of all biblical history and the foundation of the whole Christian teaching. The Old Testament Passover, like the present Pesach (Jewish Passover) holiday, was celebrated in memory of the exodus of Jews from Egypt, that is, the liberation of Jews from slavery.